Mike’s final Scambot 2/Inkling song diary! Hello pals! Beyond its easy availability from all of us here at Exowax in the USA, Scambot 2 has begun its wide release and will soon be showing up at Burning Shed in the UK and iTunes, and has already appeared at Amazon. Many thanks to Chris Ingalls for this great review of Scambot 2 at Pop Matters! To honor these glorious developments, I now offer the final installment of the ongoing Scambot 2/Inkling song diary, this one covering the second half of Inkling. Ever since hat. and Boil That Dust Speck I’ve enjoyed messing around with tiny little songs. For this project I made a bunch of them, merely two of which ended up on SB2 proper, resulting in a bumper crop for Inkling. This one has a link with “O” on SB2, quoting its ending piano part. So far we’ve got “M” (from Scambot 1),”O” and “E.” Will Scambot 3 continue the trend? So titled, because Ophunji (by the end of Scambot 1) had The Scorpions (the band), along with members of Air Supply‘s touring group, chained up in his recording studio disguised as the Quiet Children. This song is an alternate version of “Salve-Dependent Scorpions” from The Scambot Holiday Special, with an entirely different guitar performance, some added keyboard parts, less saxophone, and a radically different mix. 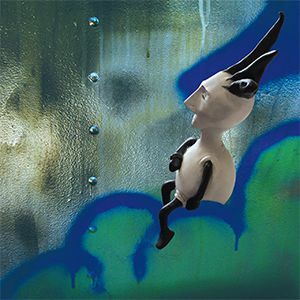 This new version is a whole other trip for sure, and I really love it – I’m happy with the guitar playing and with the highly attuned work of Messrs. Beller, Musallam and Travers. Suitable for loud crank-age in the car. One time in the ’90s I woke up in the middle of the night in a French hotel room, and the radio was playing some very eerie and bewitching organ music (I had fallen asleep with the radio on – it wasn’t a supernatural radio occurrence). The piece went on for a long time. Ever since then I’ve had the desire to write a long-form organ piece (organ was my first instrument after all) in tribute to my memory of that night – which still hasn’t happened, but “Skating Backwards” provides a sliver of an inkling of what one section of such a piece might sound something like. I really like the ending. I like the whole thing but I think the ending is especially neat. So titled, because that is the name of the tiny red bug who shows up in the story every now and then. The first minute and 24 seconds was scored on paper without an instrument at hand, so it was fun to record the parts and hear how they sounded. The second part is a long blues progression, over which I challenged myself to play the most economical guitar solo I could. Later on I decorated the solo with synthesizer commentary – sometimes phrasing or harmonizing with the guitar, other times heading off into its own world. Part three is super atmospheric and chill, and extremely suitable for late night contemplation with headphones engaged. As anti-news-media screeds go, this is pretty cute. I mainly did it in order to provoke a reaction from news addict Bryan Beller (he liked it!). I really enjoy the analog synth backdrop, made up of four tracks of edited Moog Voyager improvs (I drew from the same bank of recordings used for the comedy sketches on The Scambot Holiday Special). I love how weirdly expressive abstract synthesizer sounds can be – I use them here in kind of the same way Raymond Scott used electronic sounds to punctuate advertising copy. At the end of this track it used to go “Mayday! Mayday! Mayday!” for a lot longer, but I edited it down (it’s still plenty long enough). I did this for you. At one point this song had lyrics about Ophunji’s crush on Karen Carpenter. I do have a working version of this song featuring Ophunji singing in his gnat-voice. You might want to hear it. I enjoy the weird turn the guitars take at the end of this track, and the hard cut to black. “Three and say it!” and “Back it up! Y’all look so beautiful, buttercup,” were part of a dream I had that made me wake up laughing. This song makes me very happy. If it didn’t have a middle section in 11/8, I would ask all the world to dance to it with me. 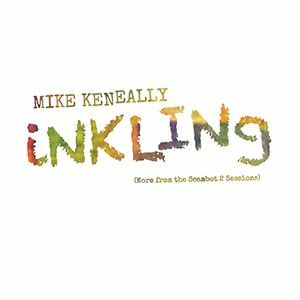 I knew I wanted to write a song called “Inkling” – I’ve known that for years, and have tried to write lyrics for one a few times. I came up with the basic track of this song years ago during the Court TV sessions, and for years I didn’t realize that it was “Inkling,” but during the Scambot 2 sessions I finally figured it out. I want to explore this melody further, and I’m considering coming up with a live arrangement for it. Maybe for the BFD tour next month? I’ll take it up with the authorities, run it up the flagpole and see if anyone falls over when they look up at it. Not unlike Sluggo!, this album ends with a jaunty little piano ditty. It was recorded immediately after I wrote it and I had only the most basic grasp of the piano part. Maybe that’s a good thing? This one features Evan Francis‘ bold exhortations on clarinet. I love the way he dances around the chord changes. And with the actual resolution into E Major that we’ve all been waiting for, Inkling saunters off into the sunset. Why not go back to the start of Scambot 2 and play both albums again? We all have time for that, right? Thank you for hanging with me throughout this song diary – it’s been extremely fun for me, and I really hope it’s enhanced the album-listening experience for you. And finally, I hope to see a bunch of you at the MK/BFD shows next month (please go here for all dates and ticket links). Me, Bryan Beller and Joe Travers doing our thing, with the Travis Larson Band opening – it’s going to be a good time for everyone! 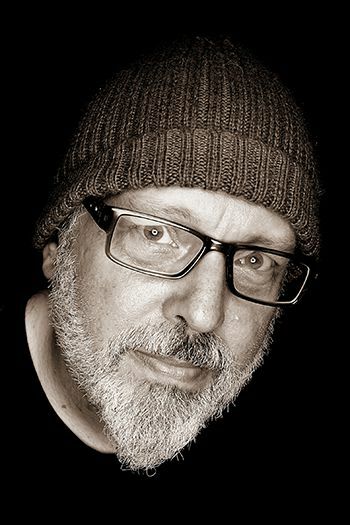 Previous Post:Mike Keneally’s Bonus Disc Song Diary, Pt. 1! Next Post:KENEALLY ON TOUR! SCAMBOT 2 NEWS!